This was my first stop on my Spring 2010 "This Sure Beats Working Any Day" tour of northern Arizona. I took these photos in early April 2010. 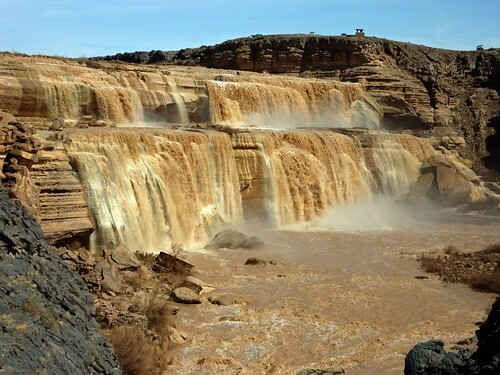 The Grand Falls are located about 30 miles from Flagstaff, AZ. 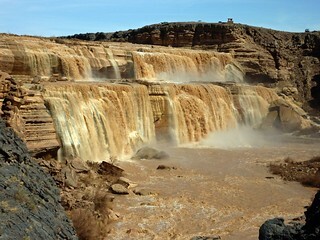 I had not heard of these falls until recently (via Flickr) and decided to check them out. The road to the falls is pretty rough and you should have a high clearance vehicle. Also, I understand the falls are very seasonal - full usually in March and April and eventually drying up later in the season - so I definitely lucked out.